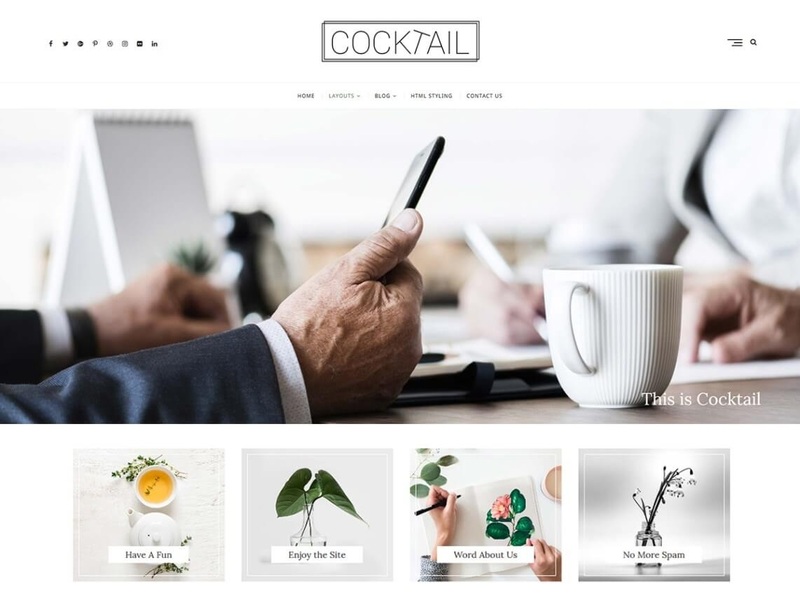 Cocktail is a WordPress theme exclusively built for blogger, news, and education. It is clean, super flexible, fully responsive designs, amazing new features, complete 1-click website demos, and lifetime free updates. Cocktail design can be used for any type of website. It consists Contact Us Template and Gallery Template, Popular Posts widgets and Sidebar.